61 runs required from 60 balls and all the ten wickets in hand, AK United looked all set to complete a one sided victory over Super Express Vijaya. But in the 11th over Tahir Saraf sent Zahanuddin Shaikh back in the pavilion and things started changing. From overs 11 to 16 AK United scored 26 runs and lost 5 wickets courtesy to a splendid spin bowling spell from Tariff Saraff and Amey Bhatkande. “In any format of the game, partnerships are the key,” coaches repeat this line every time they talk about batting. But are partnerships limited only to batting? How many times have we seen a Cricket match being won due to an incredible bowling performance by two bowlers? Any batsman would accept that batting becomes difficult if two bowlers bowl tidy lines from both the ends. If one bowler is bowling superbly then batsmen generally look to score runs from the other bowler. However, if both the bowlers ball exceptionally in tandem then there is no release for the batters. This is exactly what happened to AK United. Their batsmen were completely tied down by some magnificent bowling by Tahir Saraf and Amey Bhatkande. 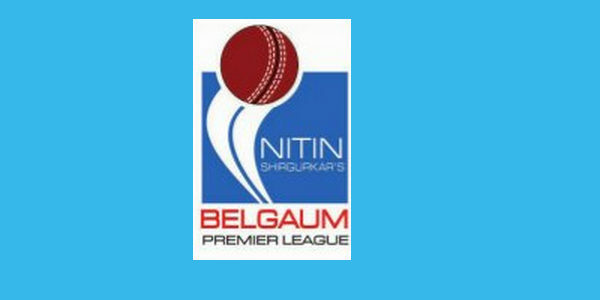 This bowling partnership enabled Super Express Vijaya to register an impossible looking victory in Nitin Shirgurkar’s Belgaum Premier League. Tahir Saraf had a match figures of 4-0-16-3 while Amey Bhatkande’s figures read 4-0-21-2. Both the bowlers admitted that they gained immense help from each other as the combined pressure resulted in more mistakes by the batsmen. Today once again it was proved that in Cricket it is not just the batting partnerships that matter. Even in bowling you need partnerships from bowlers to win the game.